Plant Production & Protection Dep. The Plant Production and Protection Department has the privilege to be the only department in Gaza established in 1996. Many specialized agronomists in the field of Plant Production and Protection graduated from this department are now contributing to the implementation of agricultural development within national agricultural institutions. Moreover, the department organizes training courses for agronomists in the field of Integrated Pest Management (IPM), collaborating with the Ministry of Agriculture. The faculty members in the department participate in developing strategies to improve the Palestinian agriculture. They also supervise graduate students, participate in relevant seminars, carry out many applied research to contribute in solving the problem of agriculture production in the country, and supervise the Technical College Farm in Beit Hanoon by providing technical consulting for national institutions in the field of plant production and protection. Moreover, they follow up the troubles that face the Palestinian agriculture. Currently, the department is developing plans to activate its role in agricultural development through research and training. 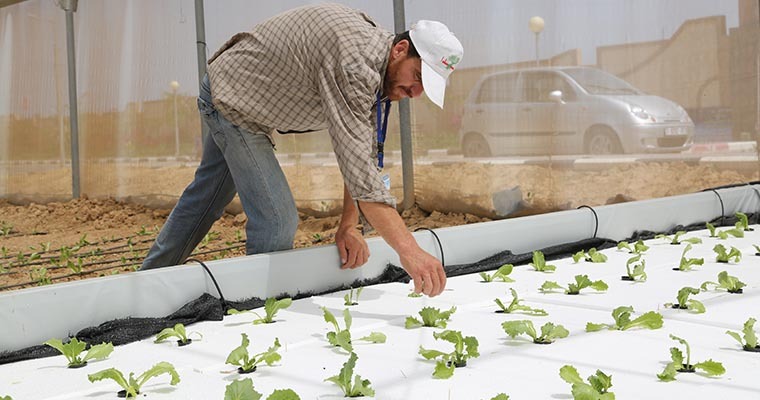 Therefore, the department prepares proposals for the development of the agricultural sector in the Gaza Strip. The department has managed to apply some of the projects with the cooperation of some international institutions such as the International Red Cross Society. Moreover, the department is preparing a plan to train farmers in Om An-Nasr area on organic farming to enable farmers to plant areas near the borders in the North and set up the (FAO) Food Agriculture Organization.